I love the freshness of spring!! Veggies are in season, the farmer's market is full of people and the best of all... You can't wait to get home and make some fresh salad!! 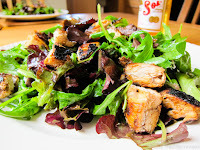 This recipe can be made completely vegetarian, but since I had two chicken breasts in the fridge, I thought I should chuck them in. Why not, right? 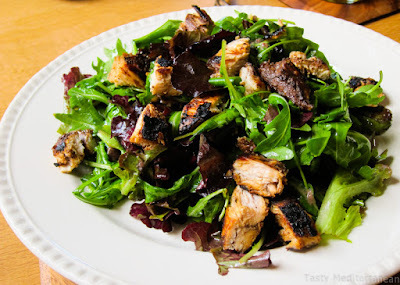 - In a bowl, place the chicken, add the garlic and balsamic vinegar. Cover it and leave in the fridge to marinate for a few hours or overnight. 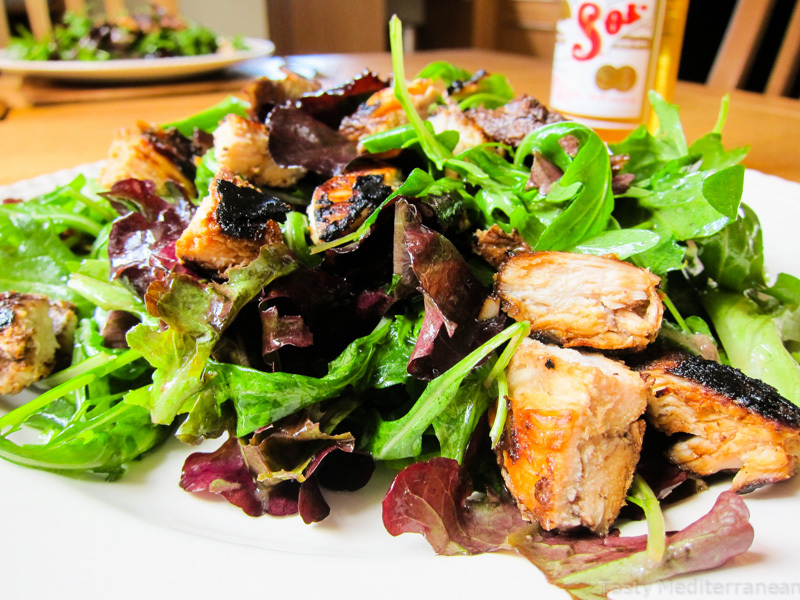 - Drizzle 1tbs of olive oil on a griddle or grill and place the marinated chicken. Grill for 5min on each side and set aside. - In a big salad bowl, add the juice of 1 lemon, anchovy paste, Worcestershire sauce and olive oil. Mix thoroughly, then add the salad leaves. Give it a good toss, taste it for seasoning and adjust. 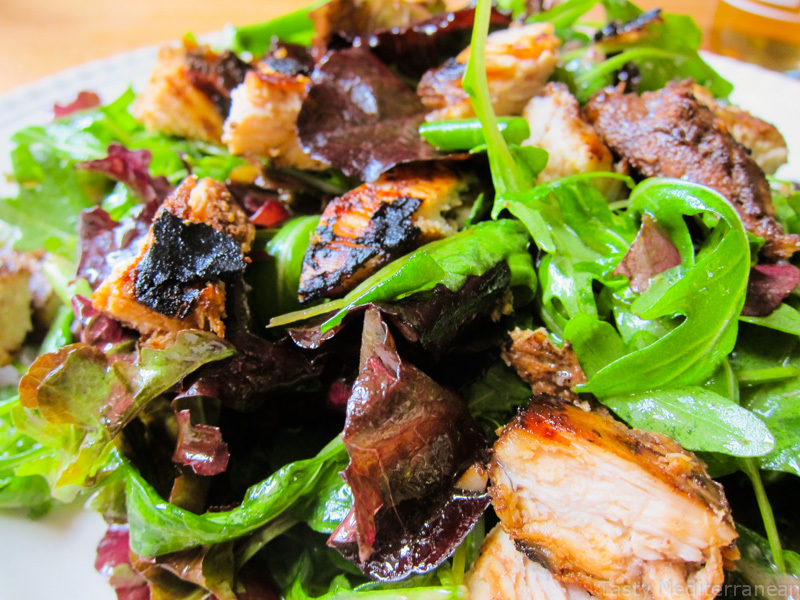 - Chop up the chicken, mix in with the salad and enjoy!